Thank you for visiting "HurricaneCity.com"! Information provided at HurricaneCity should not to be used to make life threatening decisions. The information provided from the links to other web sites such as radar, cams, emergency management, news and observations are not the property of HurricaneCity, therefore HurricaneCity is not responsible for any damage or loss of life due to inaccurate information provided by these websites. Information provided by HurricaneCity such as information about the city threatened, information about the cities hurricane past, City Database and city rankings may not be 100% accurate. These products are not to be reproduced in the same or similar fashion on other websites without an email written request & accepted by HurricaneCity. 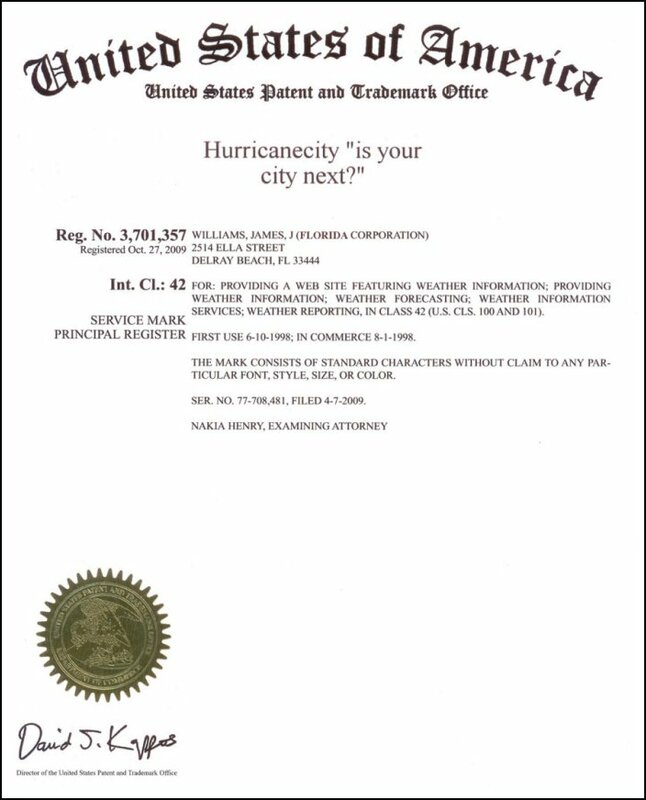 HurricaneCity "is your city next" is trademarked. Violation of this trademark will result in swift legal action. HurricaneCity products are printable & downloadable for personal use only!! This means you cannot copy & paste code unless with written approval from a representative of HurricaneCity.com. More. HurricaneCity updates frequently. We maintain this site to the best of our abilities which includes many hours of maintenance during hurricane season. Sponsors are needed to maintain resources available to HurricaneCity. Sponsors are not responsible in any way for any content viewed or heard at HurricaneCity. Live video reports These live broadcasts & recorded links are the property of HurricaneCity.com. The live broadcast's consist of weather reports, radio simulcast's & call-ins from listeners. Any information heard at HurricaneCity by others not associated with HurricaneCity is not the responsibility of HurricaneCity or it's advertisers.